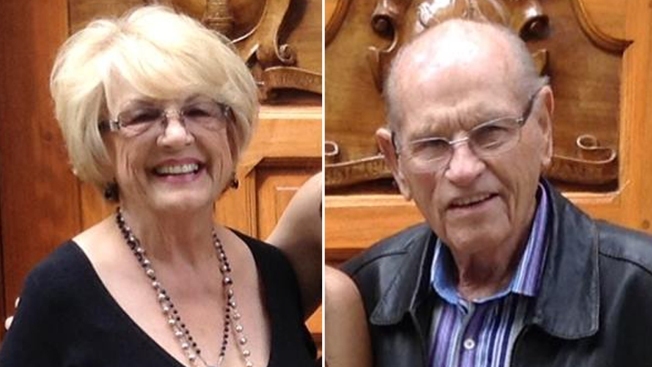 Shirley Isom, 74, and Armie Isom, 89, were killed Dec. 26 in an isolated multimillion-dollar home east of Los Angeles. La Verne residents Shirley Isom and her husband, Armie, in an undated photo posted to Facebook. A transient was charged Wednesday with capital murder for the bludgeoning deaths of an 89-year-old man and his 74-year-old wife at their multimillion-dollar Southern California home the day after Christmas in 2014. Luke Mathew Fabela, 23, is charged with two counts of murder and one count each of second-degree robbery and first-degree residential burglary in the deaths of Armie "Troy" Isom and his wife, Shirley. Shirley Isom died of blunt force injuries and her husband died later in the day. He had been beaten and stabbed, authorities said. A groundskeeper found their bodies Dec. 26 at the couple's mansion above the Pomona Valley east of Los Angeles. The isolated multimillion-dollar home abuts open land in an unincorporated area near La Verne. Authorities said DNA linked Fabela to to the killings last year while he was serving a jail term in San Bernardino for auto theft. A sample of Fabela's DNA had been placed in a state database after a previous felony arrest. By the time the comparison results came back, Fabela was already in custody in the San Bernardino County case, according to Los Angeles County Sheriff's Homicide Lt. David Coleman. Before his arrest, Fabela had been living as a transient, staying with different friends and relatives around the San Gabriel Valley. The murder charges against Fabela include the special circumstance allegation of multiple murders during the commission of a robbery — the only item taken was Shirley Isom's cellphone, according to the prosecution. In February, deputies asked drivers in Pomona whether they recognized the man depicted in a composite sketch of the killer. The sketch was believed to show a hooded man who was seen on surveillance video at an intersection near the home on the night of the slayings. Fabela is the man described by those witnesses and depicted in the composite, detectives believe. Some witnesses identified Fabela in a jail lineup, Coleman said. Information on an attorney for Fabela was not immediately available.